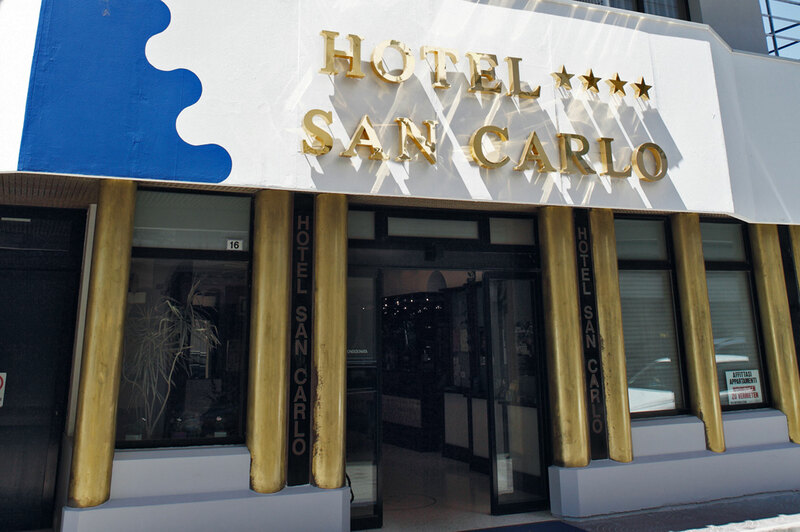 Hotel San Carlo, open all year round, an example of the best Lignano hospitality, has been completely renovated and offers its guests all the modern comforts. It is located in the centre of Lignano Sabbiadoro, a few steps away from the shopping area, only 100 metres from the beach and has large comfortably furnished rooms, all with air conditioning, heating, private bathroom with shower, hair dryer, SatelliteTV, safe, direct-dial telephone and balcony. For those who like comfort and for large families, the hotel offers some comfortable suites. The Hotel San Carlo is the ideal place for an unforgettable holiday in Lignano Sabbiadoro.